These books are in the air! 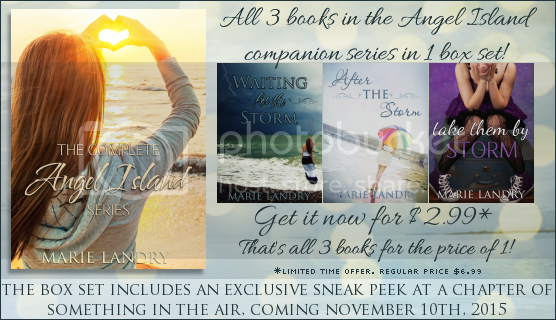 Marie Landry has combined all three books in her Angel Island companion series - Waiting for the Storm, After the Storm, and Take Them by Storm - into a box set. For this week only, you can get the set for just $2.99, which is all three books for the price of one. 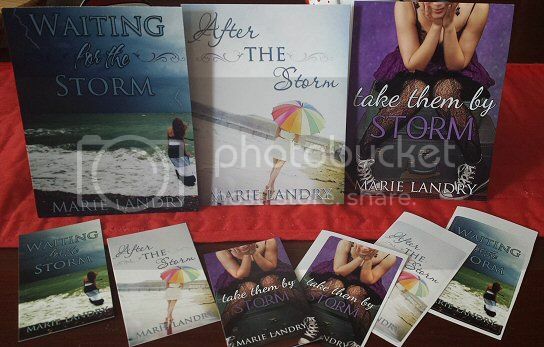 The box set also includes an exclusive sneak peek at a chapter of Marie's upcoming New Adult novel, Something in the Air. Which I have enjoyed making countless bad jokes about stuff being in the air––see blog post title for example. You can not trust me with these sorts of things. Three girls exploring sisterhood and friendship, finding love, and discovering their place in the world. 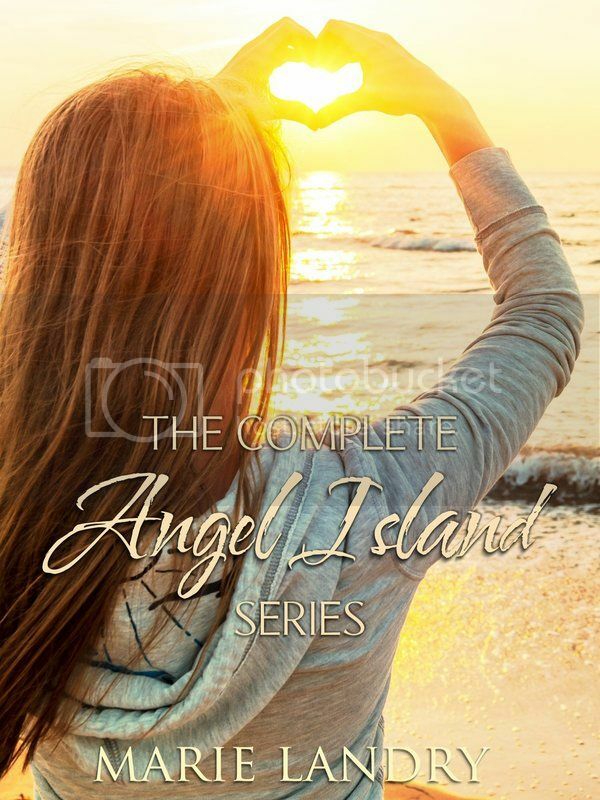 Join Marie on her blog this week for 5 Days of Angel Island, where she'll be sharing fun facts, pictures of the places and things that inspired the series, teasers, and more! Angel Island swag pack, including postcards, mini bookmarks, and stickers. Open internationally! Congratulations, Marie! Boxed sets are the best. The boxed set's cover is so pretty! Congrats to Marie! I hope it sells loads of copies. Great sounding series! Congrats to Marie! There isn't much better than a 3 for the price of one! Congratulations to Marie! What a generous giveaway, too, the whole boxed set.